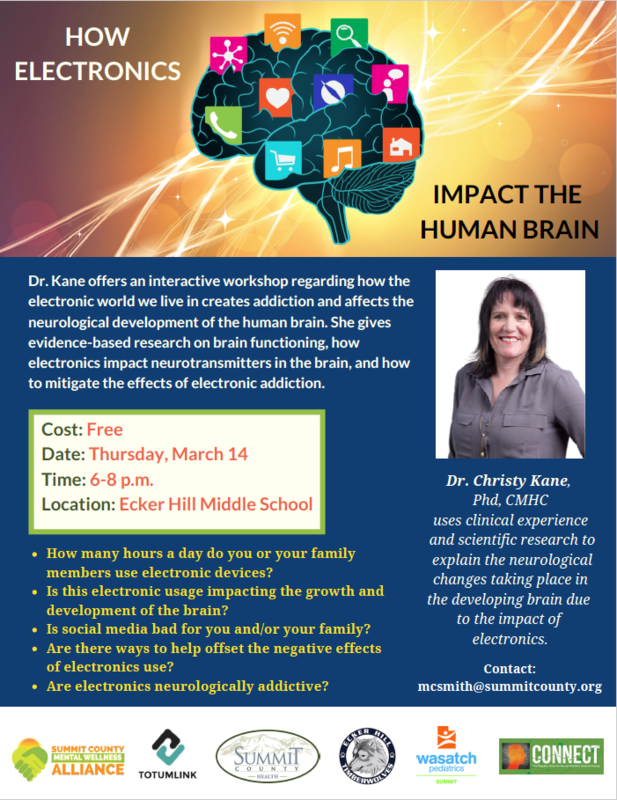 Presented by a coalition of local organizations, Dr. Christy Kane shares evidence-based research on the impact of electronic usage on the brain and is offering steps to mitigate the effects. From brain development to addictive behaviors, Dr. Kane explores a wide range of influences all based in scientific research and clinical experience. This FREE event will take place at the Jim Santy Auditorium on Thursday, March 14th. See image for complete details.